before Yasmin Althea’s 3rd Birthday. 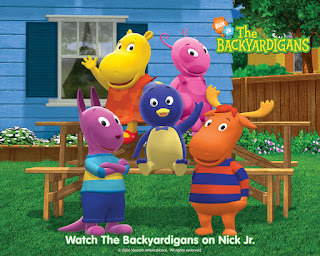 And the busy momma is so excited for the preparation…We’ve chosen Backyardigans Themed Party. She’s so fond of these characters that she watched regularly in nickjr. It will only be a simple afternoon party with 20 expected kids, mostly her playmates and children of some of my officemates. I just completed the menu as well the list of stuffs needed for the party. Thanks for the visit and kind comments on my blog. Happy 3rd birthday to your daughter! I am sure she will enjoy her special day, which you seem to be working so hard for.